The grove is airy and light. Stately culms of Moso bamboo filter the late April sun. Satoshi Hashida walks slowly, eyes trained on the ground. He reads the earth scanning for a swell or crack that indicates takenoko, just below the surface, is ready to crown.The moment to harvest is critical; the minute these new shoots of bamboo meet sunlight and begin photosynthesizing they turn tough and astringent, their flavor and value diminished. He kneels, brushes away a few dried leaves, and gently clears dirt away with a hoe. 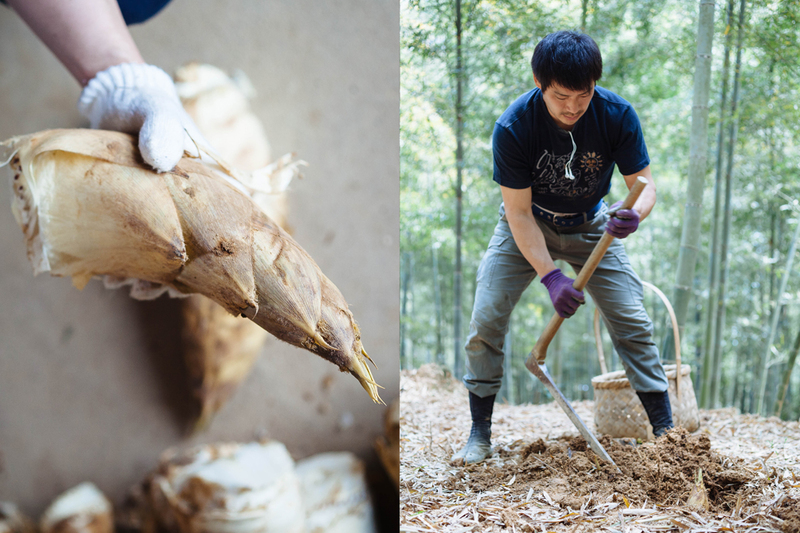 Takenoko are naturally curved, tapered at the tip and wide at the base like buffalo horns. With a long scythe-like blade he spears the base of the shoot and pries. The takenoko leans forward and releases. It is grand, ivory flesh shrouded in straw colored husk. Takenoko like this one, large, pale, and soft are rare. He grins, pleased to showcase his best. He looks up the length of a long culm reaching towards the sky and gives it a gentle shake. A few yellow leaves flutter down like a whispered augury of autumn. A pheasant calls. Nightingales sing. “When the leaves start to fall we know the end of the takenoko season is near,” he says. Large, powerful, and fast growing, takenoko express the energy of high spring, arriving in full force as the weather warms and the cherry trees bloom. Mildly sweet, tender, rich, and meaty, it appears on almost every menu in Japan, its lore and allure so strong. It is a most unique crop, a wild and woody perennial nurtured through efforts of the hand that enhance the natural environment and refine the quality of its produce. Satoshi’s father, Masakazu Hashida is the strong and silent patriarch. In between annual harvests his focus is on tending the earth. 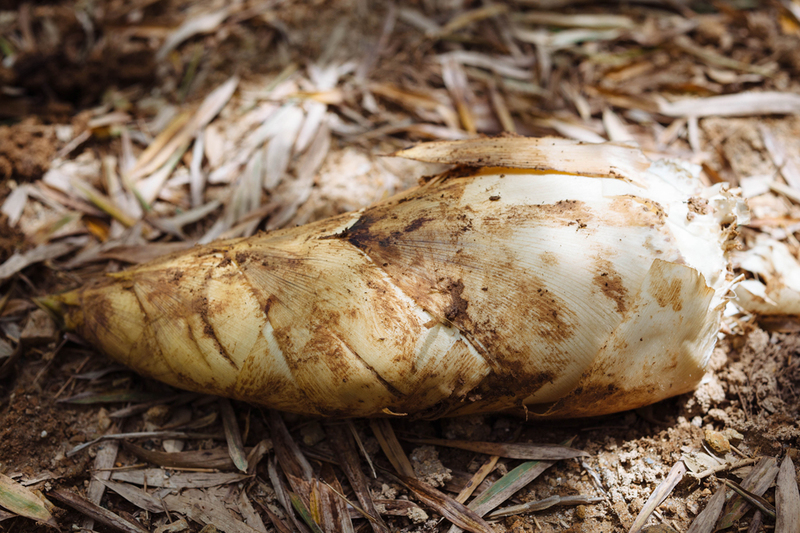 The condition of the soil determines the quality of the flavor and he must cultivate good soil to produce the prized fat white fleshy takenoko known as shirako that boast the finest flavor and fetch the highest price at market. 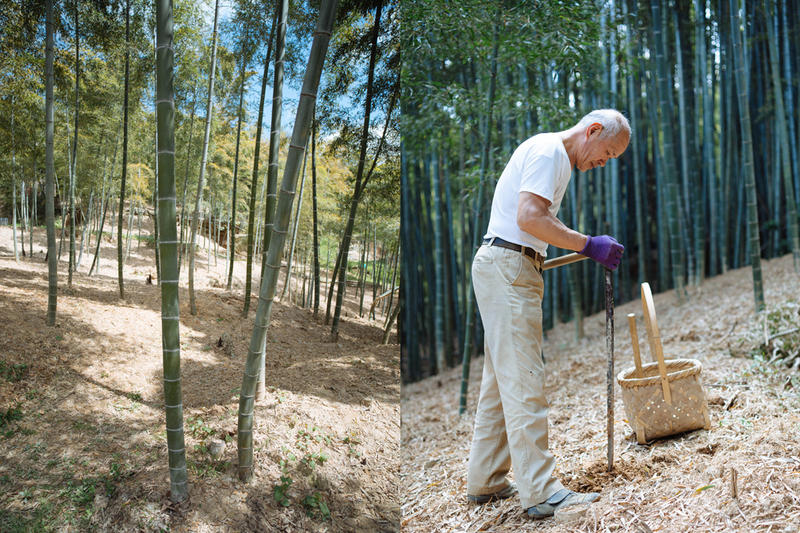 His hillside groves are naturally rich in the clay earth that is best for takenoko. 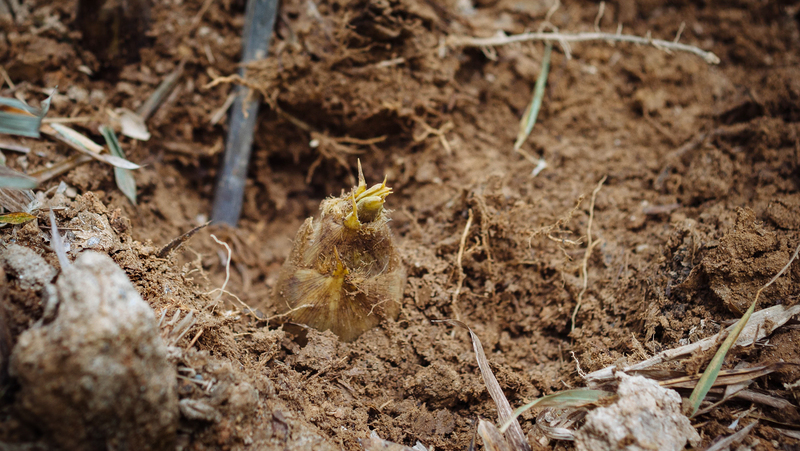 But bamboo rhizomes run shallow and nurturing a generous layer of topsoil in which takenoko can grow large while still underground is of primary importance. Each autumn a layer of wara, rice straw, is spread and topped with a layer of earth collected from surrounding land. The groves are vast and numerous, the work laborious, and without the support of his brother-in-law who works by his side each year he could never accomplish such a feat, he says. Even with such efforts, the results are slow to realize. 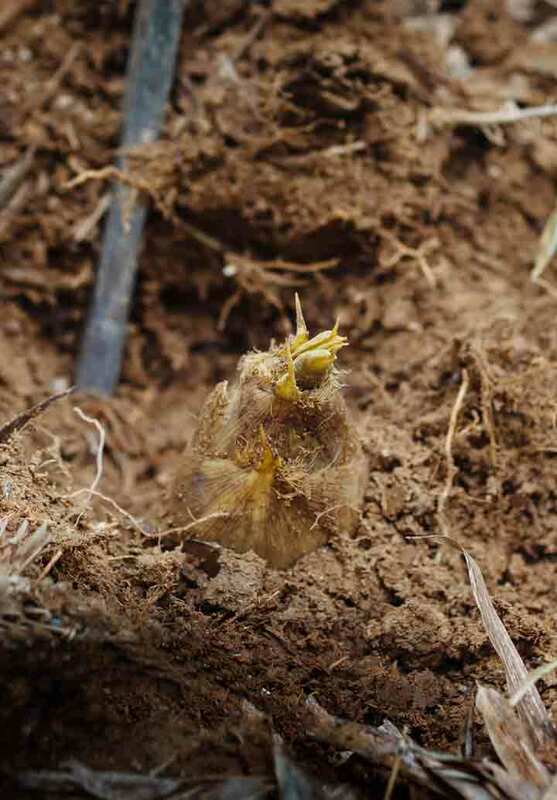 It takes unwavering patience, determination, and upwards of 10 to 20 years to build a good bed for the shoots.